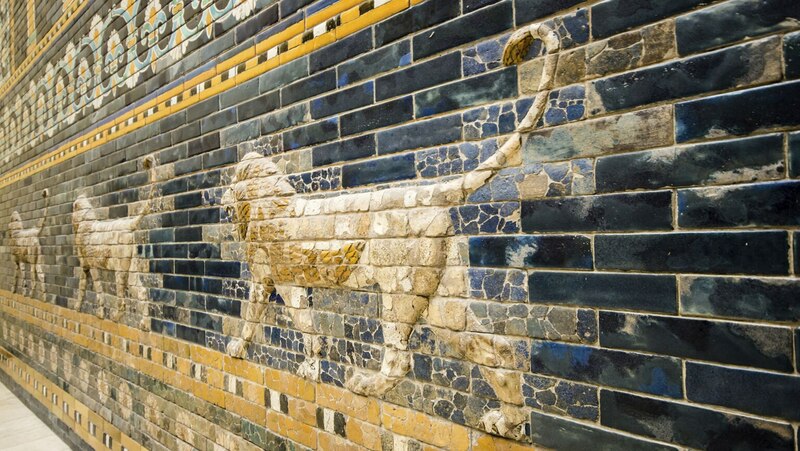 Continue your study of ancient Babylon by reflecting on Nebuchadnezzar’s city gates and processional way. These impressive feats of architecture and engineering inspire awe through their sheer size. The animals on the gate—lions, bulls, and the snake-dragon—were meant to protect the city by intimidating those who would bring harm to the community.